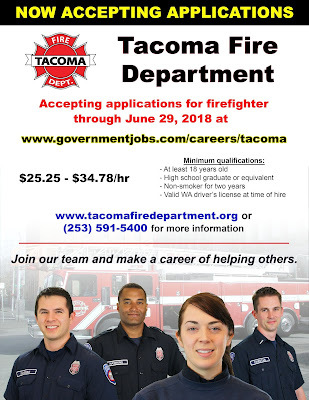 Deadline for firefighter position with Tacoma Fire Department closes June 29, 2018. 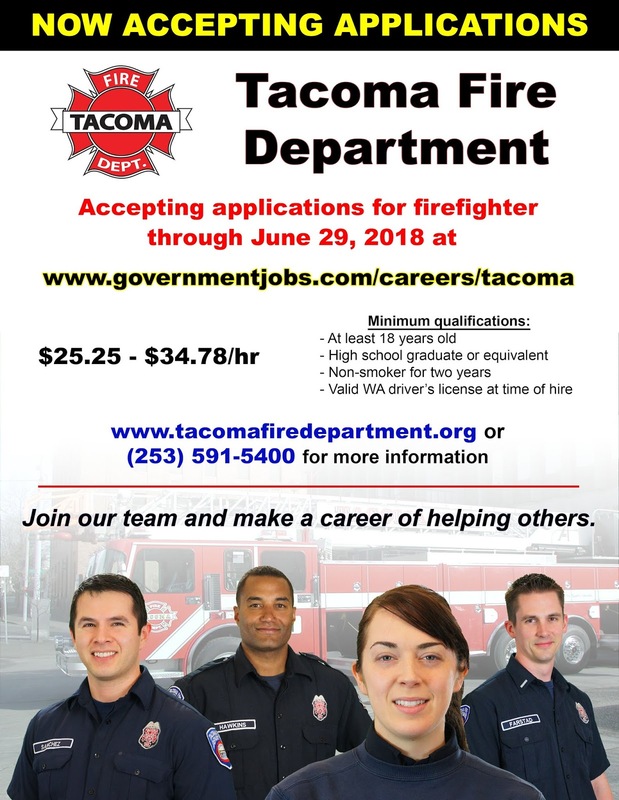 Just a reminder that the deadline to make application for firefighter with Tacoma Fire Department closes June 29, 2018, at 5:00 pm. Apply here!